6th major crypotcurrency out of appoximately 60. Currently only exchangable among other cytpocurrencies (not yet convertible to “fiat” currencies (USD, EUR, JPY etc) dec 26 2013. Quarks are a form of online payment system but in a decentralised monetary system. Quarks to Friends, Family Members & Online Payments. Free of charges and chargebacks. Military Grade Encryption. No Bank or Government Control. 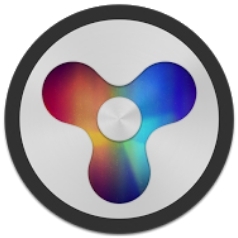 Quark Coins are based on the original idea of Bitcoin but improved, more secure, with improvements to design and security. There is also a greater coin supply with higher block rewards for miners. Quark is an independent person-to-person cryptocurrency based of the idea of Bitcoin, but with much improvement to security and design. Super Secure Hashing: 9 rounds of hashing from 6 hashing functions (blake, bmw, grøstl, jh, keccak, skein). 3 rounds apply a random hashing function. Unique technical specifications. One weakness of bitcoin is the limited coin supply. A total cap of only 21 million bitcoins will ever be released, up until the year 2040. This sets it up for deflationary pressures which causes demand to always trump supply. There is more incentive to buy and hold than to spend, so from this point of view it can never truly be a viable currency in day-to-day transactions. Although there is no ideal, Quarkcoin will continue to release coins in perpetuity after the initial 247 million are mined at an inflation rate of .5% per year. This encourages continued mining as well as more use as a day-to-day transactional currency. This small inflation is meant to replace those ‘lost’ coins due to human error and hardware failure etc…. Also, even though any crypto currency can be divided infinitesimally, people prefer to buy and transact in whole numbers. Ask someone if they want to buy bitcoin at $1000, and they believe it may be too expensive although you can buy just .1 BTC if you choose. This is more of a psychological issue. In the beginning Bitcoin was mined for several years by only around 30-40 people. Currently, it is virtually impossible for a single individual to mine Bitcoin. KnCminer just released a new Miner and sold out in 24 hours selling all 1200 units at over $10,000 each. (Link). That company also claims that their hardware users are responsible for over 70% of all mined bitcoins everyday … good luck competing with that! So the only option currently is to buy BitCoin at ~$1000USD. As the mining continues to intensify, more and more BTC blocks will fall into the hands of the few with lots of capital and hardware. Bottom line is from a mining point of view, BTC is becoming more and more centralized. Not only that it is said that the top 100 BitCoin holders control 21% of the market (Link) This is just the minimum as each entity can have multiple addresses. Bitcoin distribution is very uneven or centralized, as it has been rumored that only 50 people hold 60-70% of Bitcoin! Distribution is Quarkcoin’s strong point, although some will argue the opposite. Since Quark Coins were mined by CPU only, it was done by individuals at home numbering in the 1,000’s (link) as opposed to Bitcoins being mined by very few. Setting the time to mine most coins within the first 6 months discourages the ASIC miners from ever entering the market. With a majority of the coins mined, the price should hopefully stabilize more quickly than the other coins with longer time frames, making this crypto currency more desirable for everyday transactions. But what about argument that ‘the vast majority of the 245 million Quarks already mined are in the hands of the few? If you take the time to read through the Quark Thread over on Bitcointalk.org, you will see that most miners dumped their coins early on. 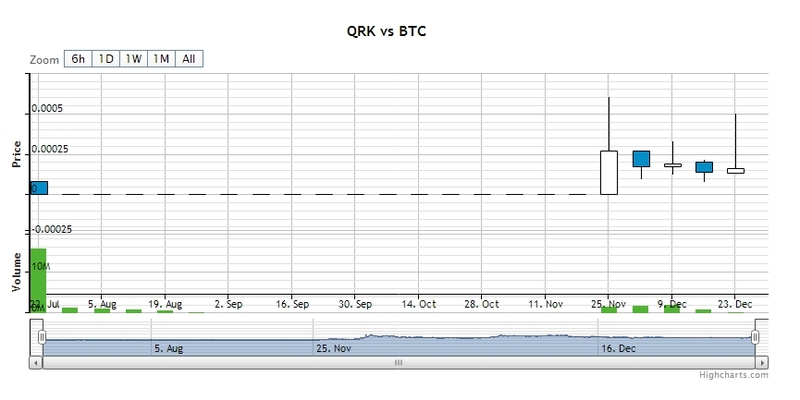 It traded so low, that early miners didn’t want to hold onto their Quark, thus the distribution began. One block every 10 minutes (very slow transaction time). Current bounty is 25 BTC halved every 210,000. Total currency supply is capped at 21 million. What started out as being CPU mined, has quickly led to a race to secure ever faster mining hardware. CPUs went to GPUs then to FPGA, and finally to ASICs (Application-Specific Integrated Circuit) designed and built only for mining bitcoins. It is virtually impossible to mine Bitcoins anymore without serious capital and hardware. 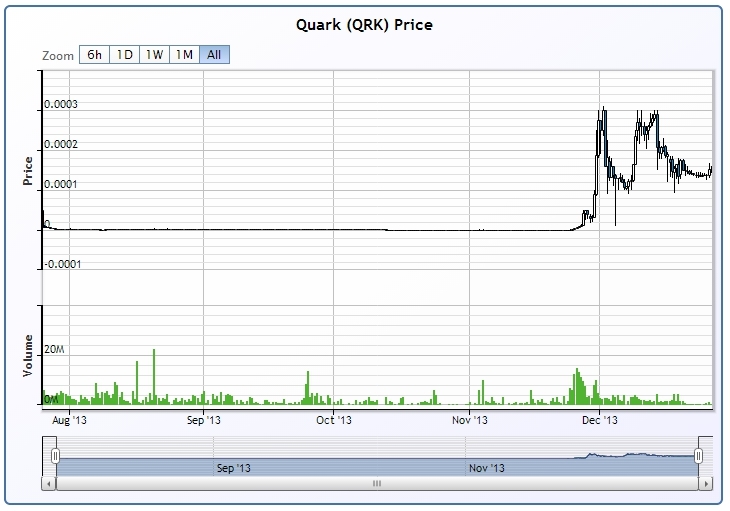 You hear of the complaint that 98% of Quark has been mined already. You can say the same about bitcoin, considering only large server farms can compete in mining the coin. You will find that the barrier to entry in bitcoin mining is huge! 2048 QRK per block (halving every 60480 blocks ~ 3 weeks). 247 million mined the first 6 months, then 1 million QRK every year. The .5% inflation was created to keep mining activity going and to keep the block chain resistant against 51% attacks to which Bitcoin is vulnerable. 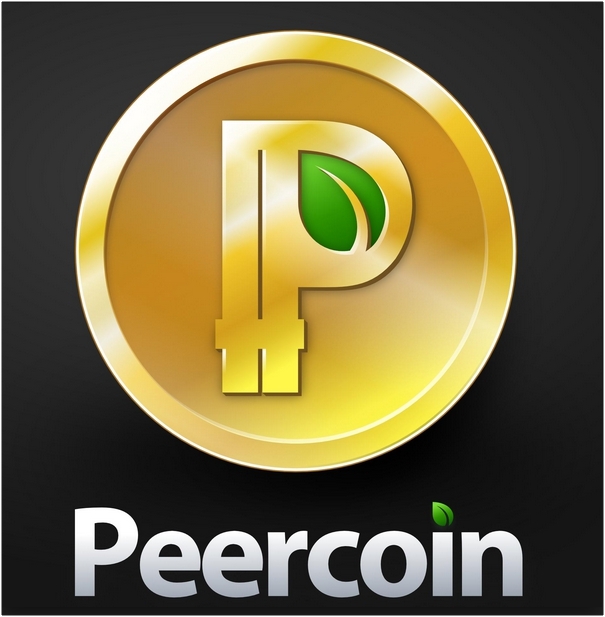 Being only CPU mined, this coin offers the average individual the rewards of mining. Like most crypto currencies Bitcoin uses a single Hash function or SHA-256. Quark is super secure and uses a different hashing algorithm with 9 rounds of hashing from 6 hashing functions (blake, bmw, groestl, jh, keccak, skein). 3 rounds deliver a random hashing function. Even though most believe the SHA-256 is sufficient at present, technology is always changing and improving. The multiple hash gives a further layer of security against unknowns that will enter the market in the future.